Headrush, the second theme of the day at ColourNext Dialogues in Delhi, incited some interesting reflections amongst the participants. 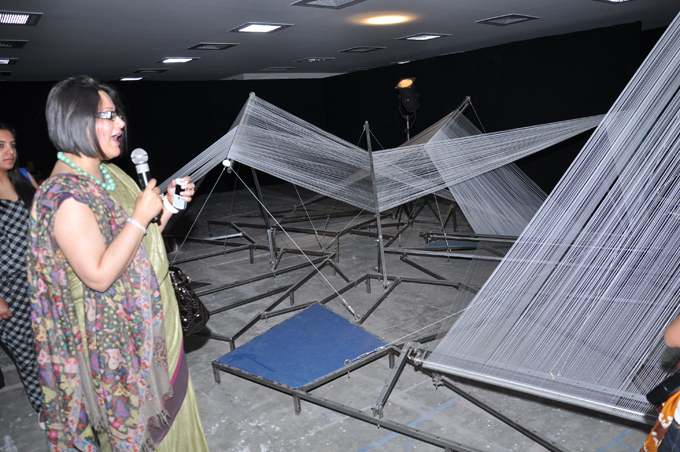 Speakers Shristi Bajaj, founder and designer at Designbait and Pushkar Thakur, founder and creative director at Grafiosi Design studios, began by talking about the energy and dynamism of the installation. To Pushkar, it signified not only only energy and immediacy, but also drama and even danger. To him, Headrush is about discarding inhibitions and facing the unknown and the thrilling. 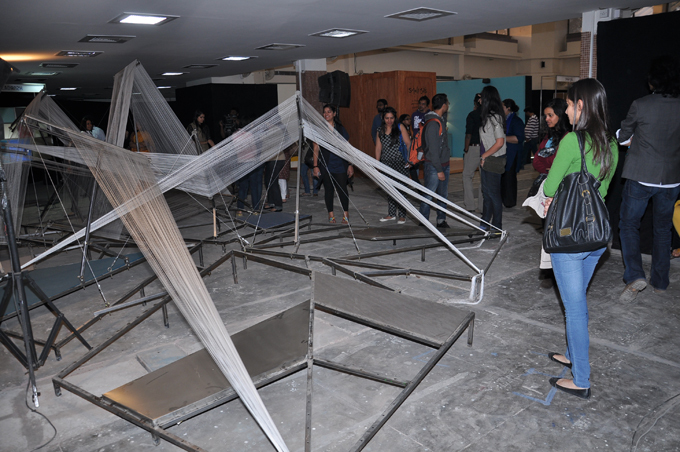 Other participants agreed, saying also that it conveys an explosion of energy, unpredictability and boldness. 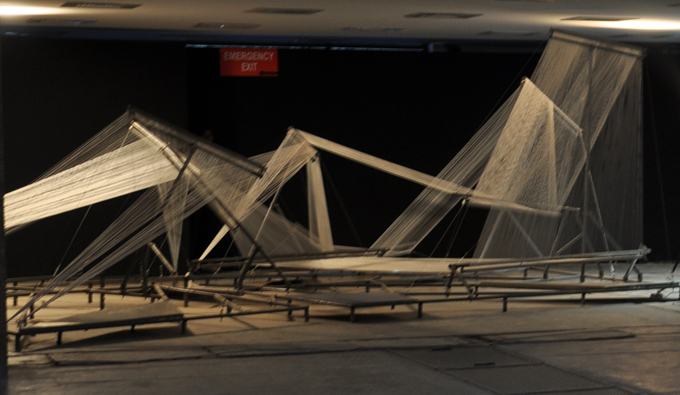 The installation, though made with rigid materials nonetheless has a fluidity, almost like the diffraction of light through a prism, as one participant observed. It reflects the younger generation’s ever-bolder decisions, being unafraid of social constraints or failure. This boldness and willingness to experiment and take chances, though, is at least in part a consequence of technology and the kinds of boundaries it allows one to break. That ‘comfort’ or ‘security’ of technology and all that it enables is what gives the youth the confidence to venture ever further. In great part, Headrush is about how our ‘virtual’ lives are increasingly encroaching into our ‘real’ lives. There was much debate with regard to the colour palette associated with the installation. While some thought it perfectly appropriate to the theme, there was much dissent about the relevance of specific colours, such as the bright sunshine yellow, the red and the blue/grey. Some participants were of the opinion that the yellow and red seemed too bright and cheerful, incongruous with the installation, whilst others spoke of how the same colours infused the palette with a human element in the midst of the otherwise dull and metallic colours. Similarly, some thought the grey to be dull and inconsistent with the energy of the installation, whilst others thought it lent an extra dimension and depth to the palette. 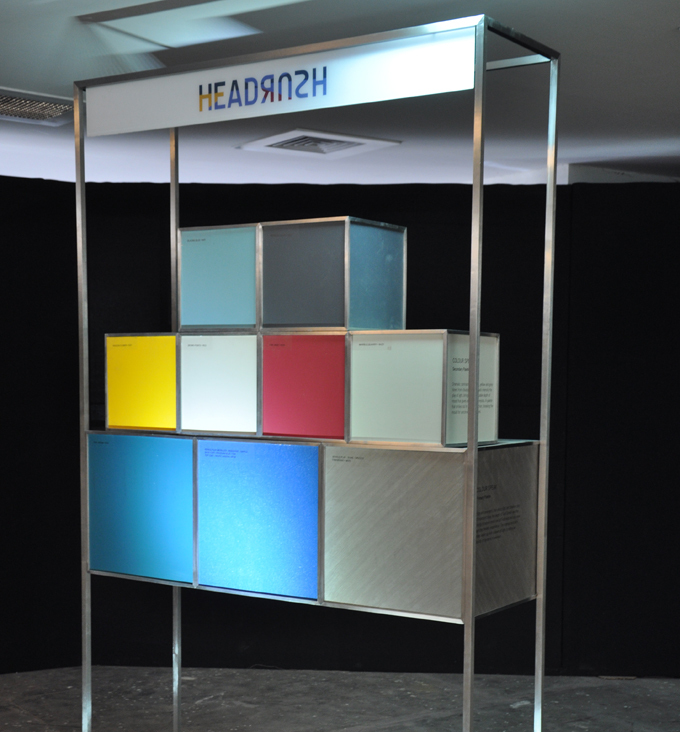 Click here to read more about Headrush and the discussion around it from ColourNext Mumbai.